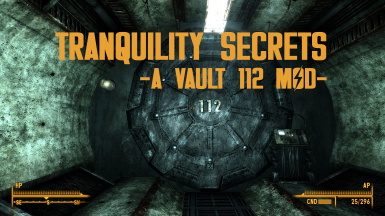 Tranquility Secrets is a quest mod and main game overhaul that tries to fill the blanks regarding the figure of Stanislaus Braun while trying to stay as lore-friendly as possible. Ever wondered how your Dad traveled the Wasteland with just a magnum? Doesn't make more sense to snipe your enemies from the distance if you travel alone? This mod also covers that. 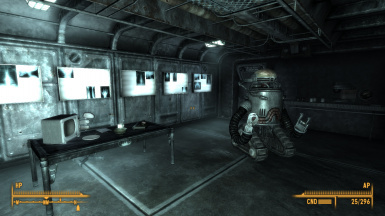 - Respect for the Fallout lore (not just Fallout 3 but the series in general). - Lore-friendly hints to the series. 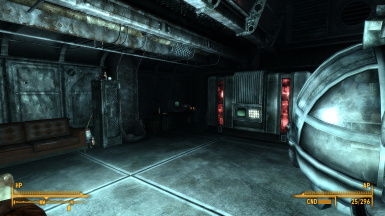 - 2 new short quests inside Vault 112. 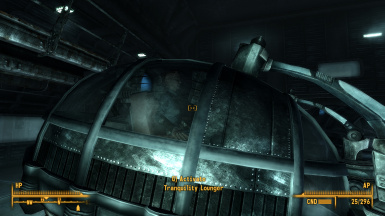 - An explanation of why your father could use the Lounger without wearing a Vault 112 suit. - Interpretations of known musical themes. - Dr. Braun's backstory, fleshing out the character a bit more. - Dad now carries a sniper rifle and a sawed-off shotgun. - A system that makes the old trial and error sequence inside Tranquility Lane obsolete. -A way to kill Dr. Braun. 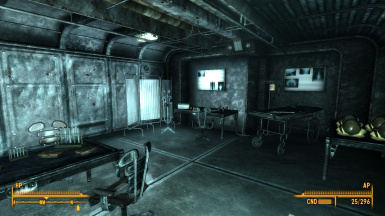 Like many Fallout 3 players, I felt a bit dissapointed when I got into the Overseer's office and found... nothing. Nothing that mattered in any case. The whole Vault 112 and Tranquility Lane's quests felt a tad wasted and rushed so I decided to flesh out this part of the main quest a bit more. It feels like an important moment in the game. You finally find your father and you need to free him from a lunatic. Only it felt flat, unrewarding. No interesting lore, no interesting loot, just one puzzle and you keep going on your businesses. So I tried to fix that to the best of my capabilities. Copy the Meshes, Textures and Music folders into your Data folder. Also copy the ESP there. Try the new Tranquility Lane themes first in case you don't like them. There is a special bonus track that will also play while you are exploring. V1.5 Fixed some duplication objects problems and other minor issues. V1.4 Fixed issue where Braun's terminal password could spawn in more than one container. V 1.3 Fixed some typos. 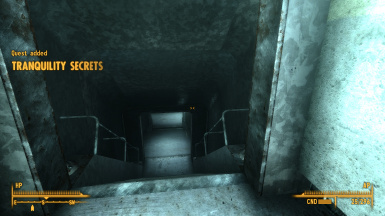 V 1.2 Changed Dad's Vault 112 Jumpsuit location from the floor next to his pod to his inventory to prevent the vanilla Vault 112 Jumpsuit invisibility bug. V 1.1 Reuploaded the whole package. Release version (1.0) didn't include the ESP. - No lying intro. No judgmental ending slides. Credits go to gillianivy, tapioks, chucksteel, clintmich, madmongo, jokerine and neunen for their resources are permissions when those were required. Also credits and special thanks to the extremely talented Anna Kate Putter for giving me permission to use her Fallout covers in the mod. You can listen to her music here and here. To Bethesda, this community and specially to the mod author's that created amazing resources. This mod wouldn't be the same without them. 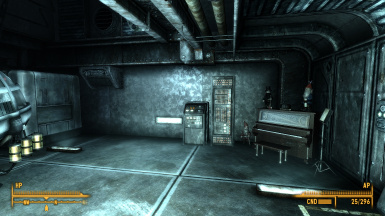 V 1.5 Fallout 3 and (TTW) Tale of Two Wastelands version by DarianStephens. Please, give him kudos!